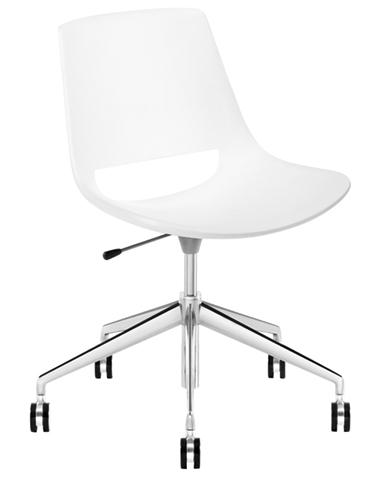 Chair with five way swivel base in polished aluminum, mounted on self-breaking castors and fitted with gas height adjustment mechanism. The shell is available in polyethylene (art. 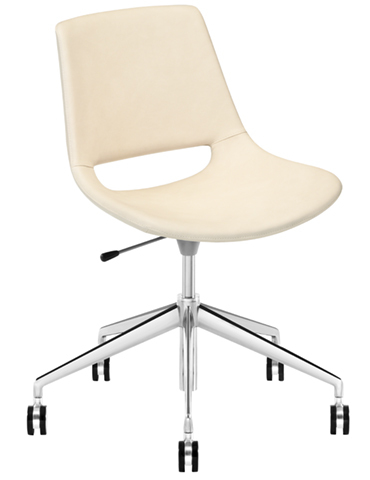 1210) or fully upholstered in leather, faux leather, fabric or customer’s fabric (art. 1217). Seat height: 40-51 cm. Dimensions: 65 x 65 x 73-84 cm. Palm is compact, lively and expressive. While suggestive of modern classics, its familiar form is updated with colors and contemporary materials. Exceptionally versatile and resilient, Palm moves easily from home to office to restaurant. The Palm shell and base are fabricated in a diverse range of materials, colors and finishes. The shell is constructed in polyethylene or covered in leather or fabric. The base comes in chrome-finish steel, powder-coated steel, aluminum or powder-coated aluminum, and is available in the following base configurations: sled, four-leg frame, four-leg frame with armrest, trestle and five-star with and without castors. 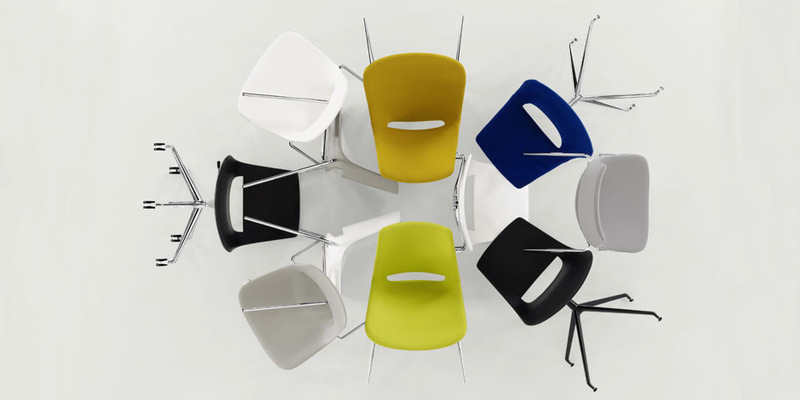 The four-leg bases are stackable to allow for large-scale use and storage. The four-leg painted base with plastic shell, also stackable, is suitable for outside use. The Palm Collection is GreenGuard certified.